Christmas in the Philippines is the longest and the brightest amongst nations. Filipinos hospitality shines bright and what better way to welcome our friends and relatives than staple delectable dishes and desserts such as Puto Bumbong and Queso de Bola. This Christmas, Johann Coffee & Beverages curated coffee drinks that are especially made for the Yuletide season: Blendpresso Puto Bumbong and Queso de Bola. It’s still your masterpiece in a cup but with a twist. Each cup has one espresso shot, no artificial flavoring, carefully and specially roasted for Johann Coffee & Beverages. Bringing in premium and quality coffee together with affordability, Johann Coffee and Beverages brings a new kind of coffee experience to all Filipinos nationwide. Visit the nearest branch in your area (Festival Mall in Alabang, Farmer’s and Gateway, Blue Bay Walk, and Valero Street, Makati) and indulge in a Filipino Taste of Christmas. Learn more about Johann Coffee and Beverages by visiting their Website and following them on their social media accounts: Facebook and Instagram. You may also contact them at 6340586/6343717, 09176860018/09178891808 or email at johannfranchise@gmail.com/ franchising@ufranchiseasia.com for more details. 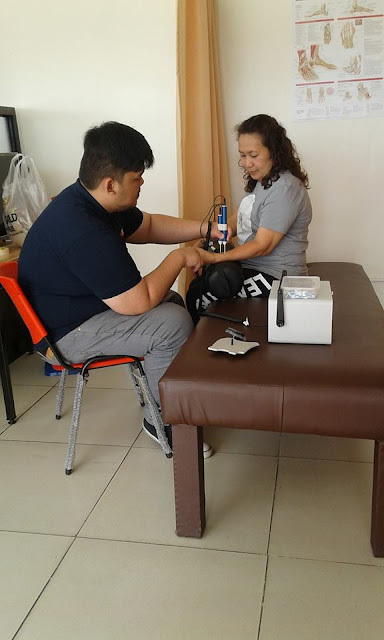 Dr. Ronald Samaniego realized this predicament and decided after over a decade of gaining experience and knowledge in Seattle that the Philippines is where he wants to practice what he has mastered when it comes to physical therapy. 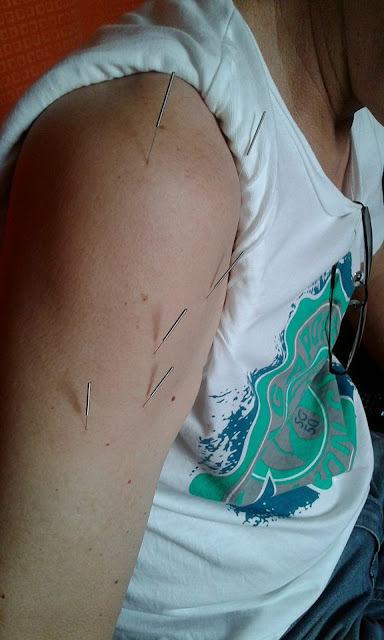 He is a doctor of physical therapy who have over 10 years of experience. He also went through one of the most painful things that can happen to your muscle which is an ACL and so he knows what it is like to be on the other side of the fence. Active Life is not a miracle worker. They simply apply the latest technology and listen to what the patients complain of. They have video proofs on their Facebook accounts, client testimonials, and paying celebrities who believe in them. For those who are experiencing pain, chronic or otherwise, call (02) 997-5704 or (0977) 292 2215 for a location near you, and for cost inquiries. You may also follow them on Facebook and Instagram to get updates on ALC PT. It's that time of the year again when we are on the look out for the best Christmas present for our kids. But need not fret because Mattel Philippines will help us pick which items will bring out the brightest smiles in our children's faces as they launch Mattel Christmas in different SM Supermalls in the country. Thanks to the partnership of Richprime Global Inc, Toy Kingdom and SM Supermalls, we get to choose discounted toys from world-renowned toy brands plus the whole family can enjoy fun activities as well. 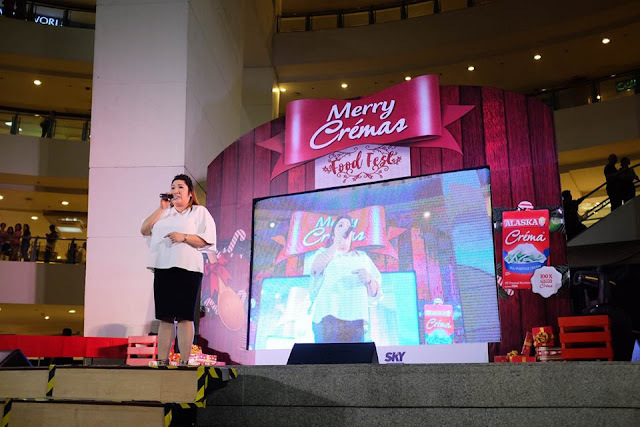 I was able to experience it first hand last November 13, 2016 when I attended Mattel Christmas launch in SM Megamall, thanks to Ms. Paula Apostol for the invitation. It was a Barbie-themed Christmas at SM Megamall where in kids get to be anything they want to be and be able to show the audience, most especially the judges, how pretty they look as they walk on that runway and strut their stuff. A total of 6 pretty young ladies won for Best in Costume and Best in Runway Walk and they were given Barbie items as their prizes. Besides the Barbie Fashion Show, kids can enjoy fun activities in different booths found at the Mattel Christmas event. They can play Barbie Dolls while watching the newest Barbie Movie: Starlight Adventure, create lovely Christmas tiaras, build race tracks and get their hands on the newest Hot Wheels toys and put up high chimneys using Mega Bloks. They can also get their photo taken at the Ever After High Garden and at the Thomas and Friends Tank Engine Train. Parents can also bond with their little ones through card and board games provided at the venue. You can choose from Mattel Games like Uno cards, Bounce Off, Scrabble and a virtual reality gadget called "View Master". Plus, get huge discounts on Mattel products displayed at the event area. I enjoyed the event and I'm pretty sure that my kids will love to visit Mattel Christmas as well. 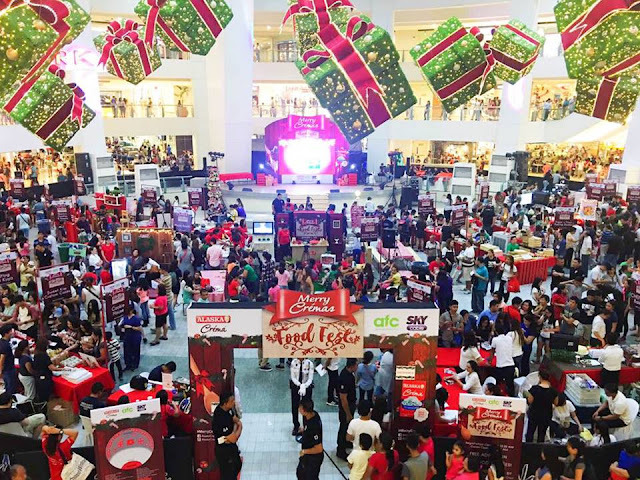 So I'm inviting all of you to bring your whole family this holiday season to shop, play and enjoy the perks and activities at the Mattel Christmas 2016. Again, I would like to thanks Ms. Paula Apostol for the invite and I can't wait to be part of the next Mattel Christmas launch. See you there! Richprime Global Inc. is the exclusive distributor of licensed Mattel brands such as Barbie, Hot Wheels, Mega Bloks, Thomas and Friends, and Ever After High. Available in all leading toy stores nationwide. 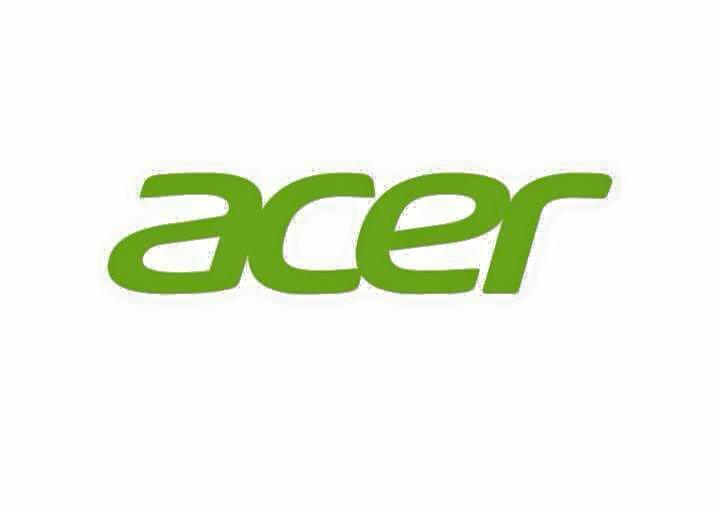 To learn more about our products, visit our official Facebook Page and Website. Ever since I attended Yummy Eats way back in 2013, I've become very ecstatic in joining such fun and tummy-filling events that introduces new food brands/businesses. The owners usually give out free samples of their best sellers and then visitors get to choose their favorite booth/food among all the participants of that food event. It is a great opportunity for them to reach out to a bigger market and also a way for customers to directly talk to the owners of these businesses in case they wanted to do partnerships or if they just want to order something from them. So when Ms. Vimz Mendoza sent an invite for the Alaska Merry Cremas Food Event last November 6, 2016, I immediately confirmed my attendance. The event took place at the Trinoma Activity Center that started from 11:00am up to 8:00pm and it featured around 30 food concessionaires that are very much ready to introduce their specialties as well as the food they have prepared using Alaska Crema products. The event was open to the public so there's no need to purchase any item prior to entering the venue. They just had to line up at the registration area and claim their Alaska Merry Cremas Passport which will be stamped in every booth they visit. Once their passports have a minimum of 10 stamps (and a selfie at the venue posted on any social media account with the hashtag #MerryCremas2016), they can claim a loot bag at the registration area. 1. 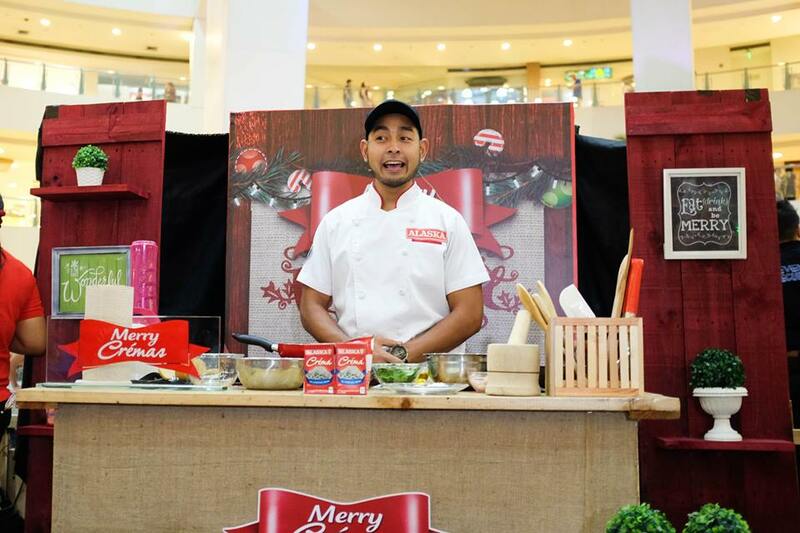 Chef Jonts Bakerie - Owned by Chef Joseph Sanvictores, they offer bouchon, brownies, cookies, ensaymada, friands, lemon bars, madeleines and cakes. Their best seller is the "Birthday Cake"
For orders, you can call or text 09778530663 and follow them on their social media accounts: Facebook and Instagram to get updates on their bazaar schedules. 2. Downtown Cookies - they specialize in creating unique and crave-worthy cookies using different ingredients and flavors. I was able to try their Red Velvet Mini Sandwich and it was delish! Call or text 09175615015 / 09988663800 and you may also follow them on their social media accounts: Facebook and Instagram to get updates on their Christmas food bazaar schedules. 3. Gordita's Gourmet Products & more - They are a catering service, "cater-to-go", food cart and gourmet product seller all in one. They are known for their Spanish Chorizo and their ready to eat Baked Mac. They also sell Bagoong, Liver Pate, Spinach, Basil and Putanesca con Chorizo in jars. For orders, you may contact ms Malou Gonzales at 09153954654 or email her at malou326@yahoo.com. 4. The Pastry Parlour - They are an online shop that specializes in Homemade Customized Cakes, Cupcakes and other Desserts for all occasions. They can also create giant cupcakes, layered cakes, cupcakes with toppers, doll cakes, mini cupcakes, and cupcake tower setup. For orders, call 09175001123 / 9662380 or email pastryparlour@gmail.com. You can also follow them on Facebook to see their one of a kind designs and feedback from their clients. 5. Chunkee Chewdee House of Goodies - offers Sugar cookies, Macaroons, Cupcakes, Banoffee and their famous Banana Walnut Loaf. For orders, call or text Judee at 09152270826. 6. Southern BBQ - Owned by long-time friends Anna Tugas and Marsie La Sangre, Southern BBQ offers mouthwatering Barbeques (cooked/frozen) that are great for parties and boodle fight. They have different packages which include an on site ihaw-ihaw for as low as P3000.00. You can place your orders at 09176653823 and follow them on Facebook to get updates on their food bazaar schedules. 7. Rollyo - is a fast casual food stall that combines different culinary flavors to create Sushi Burrito masterpieces. You can place your orders at 09088601214 or email them at patrick.tabungar@gmail.com. Follow them on their Facebook Page to get updates on their whereabouts and you might want to drop by at their stall in Malingap Marketplace at QC. 8. Cooking Ina's Kitchen - With the tagline "Cooking beyond the ordinary", Cooking Ina's Kitchen is offers catering services that specializes on Asian and European fusion cuisines. Their best seller is the Bean-ilia Bean Curd. For orders, you may contact 09298210707 or follow them on their social media accounts: Facebook and Instagram to know more about what they are offering. 10. Batter Up! by Florence - A second timer at Alaska Crema Food Fest, they let visitors taste their best selling products such as Brownies, Cookies, Cupcakes, Bars, Cakes and other pastries. For orders and inquiries, contact Flo at 09954127383 and add them on their social media accounts: Facebook, Twitter and Instagram to get updates on their Christmas bazaar schedules. 11. NTFP/Non-timber Forest Products/Custom Made Crafts Center - they showcase Forest Honey fresh from Occidental Mindoro as well as Crafts made by locals (indigenous) to help them financially and to hone their craftsmanship. To learn more about this non-profits and people's organization, email them at info@cmcrafts.org or call 9293665. 12. Fresh Homemade Pandesal by Popcakes Bakeshop - Experience the joy of freshly baked bread at your neighborhood. They also offer cookies, popsicles and customized cakes for any occasion. If you are near the area, you can visit their store at 653B Col. Buenaventura St. Brgy. Addition Hills, Mandaluyong City. They are open from 6:00am to 5:00pm every Monday to Saturday. 13. Cookie House by Red Door Cafe - Specializes in chocolate chip cookies made with premium Belgian dark couverture callets. You may call 09062159677 to place your orders and follow them on Instagram to know their next food bazaars. 14. Sweet Kiss Custom Cakes - they create the cutest customized cakes for any occasion. They also sell crinkles, brownies, cake pops, cupcakes, mallows, gummy worms and gummy flowers. For inquiries and orders, you may call 09163479958 or 7770155 and follow them on their social media accounts: Facebook and Instagram to get updates on their latest designs and ongoing promos. 15. Sugar + Flour Baking Studio Co. - owned by Pastry Chef Mabel Sy, they usually conduct baking workshops at their studio in Greenhills and they also sell very tasty Chocolate Ganache drizzled with Salted Caramel and fluffy Ensaymadas. For inquiries you may contact 09175800525 and follow their Social Media accounts: Facebook and Instagram to be updated on their workshop schedules and food bazaars. 17. Jusay Bakery - Pastry chef Jeffrey Jusay's bakery offer red velvet crinkles, customized cakes, cupcakes, cakepops and their best sellers: cheesecakes. They also create dessert buffets for parties depending on the client's theme. For orders, you may contact 09189853917/09275000513 or email jeff_jusay08@yahoo.com. You can also visit their bakery at 179 N.S. Amoranto St. Laloma, Quezon City. Follow their social media accounts as well: Facebook and Instagram, to get updates on their food bazaars. 18. Homegrown Organics - order organically grown, farm fresh produce to be delivered straight to your home. They showcased their purple corn which is said to have more nutrients compared to the white and japanese corn. Contact 09479570994 to order or you may visit them at Pioneer Market. To know more about this brand, check out their Website and follow them on their Social media accounts: Facebook and Instagram. 19. Grace Cakes and Cupcakes - specializes in customized cakes and cupcakes for all occasion. They offered their best selling blueberry cheese cupcakes during the event. Call or text 09205970522 to order or email babypooh0002@yahoo.com. You may also follow them on their Social Media accounts: Facebook and Instagram to get updates on their latest food bazaars. 20. Oh my Gee - famous for their delish and affordable Halaya Con Queso, Double Chocolate w/ Pistachio and Brownies. 21. Baker Bub - they sell muffins, scones and lactation chewy choco chip cookies. Contact Ms. Francesca Isidro at 09399338628 for orders. Follow them on their social media accounts: Facebook and Instagram to get updates on their food bazaar schedules. 22. Claudine's Treats - if you want something unique, you may opt to try their Calamansi Pie, Dark Salted Brownies and Mango Date Bars. 23. Itlog Ni Kuya - owned by Mr. Leo and Ms. Josephine Dator, Itlog ni Kuya offers organic salted egg that they harvest from their duck farm in Laguna. 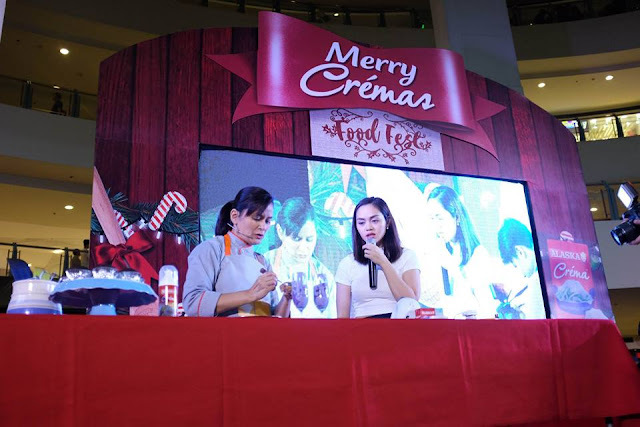 Besides the food concessionaires, there were also cooking demonstrations and workshops held at the Alaska Merry Cremas Food Fest 2016 where in they used different Alaska products including their newest which is the Alaska Crema Whipped Cream. The attendees were also entertained with dance numbers from the La Salle Dance Company and songs from the Hail Mary the Queen Children's Choir and Frenchie Dy. 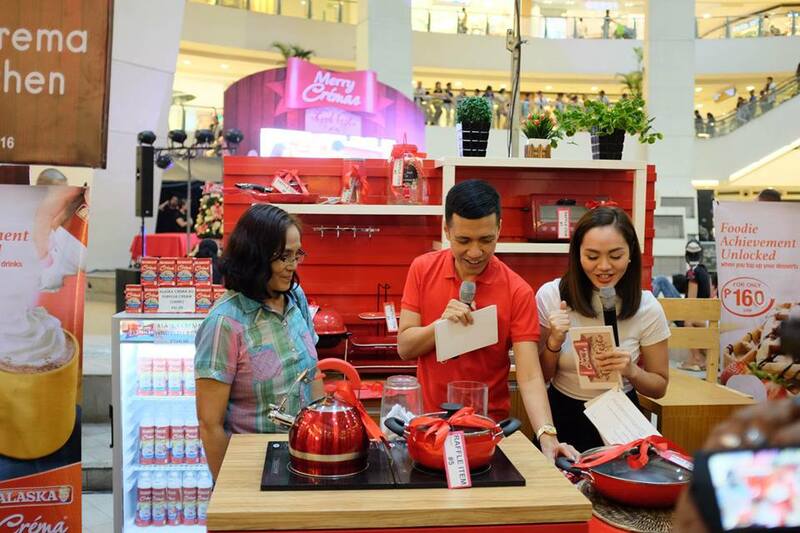 Food concessionaires were also judged by food bloggers and media and winners were given awards at the end of the event. 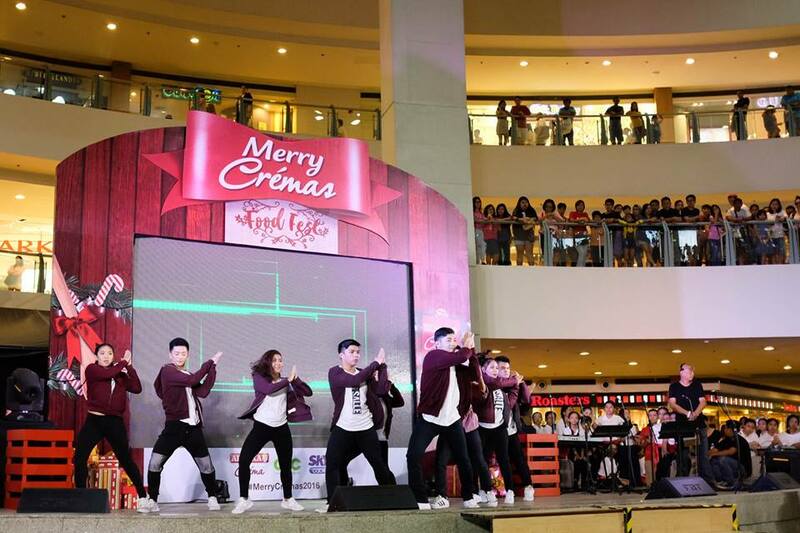 It was indeed another successful Alaska Merry Cremas Food Fest and I can't wait for next year's event. 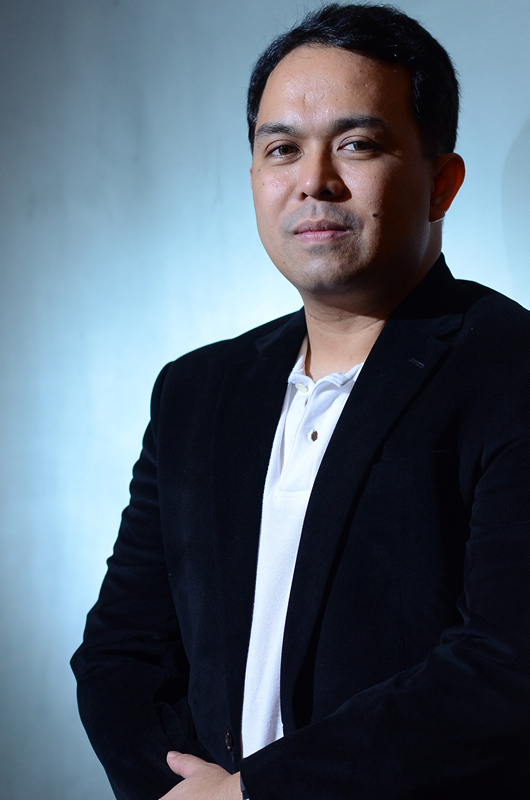 I would like to thank Ms. Vimz Mendoza and Sir Art Mendoza for inviting me to cover the event. I had so much fun tasting different products that are showcased by the participants and I'm looking forward to attending Alaska Merry Cremas Food Fest 2017. Hope to see you then! Hair Chemicals: Is it a truth or a myth?